Coincidentally, Patty and I watched one of my all-time favorites today ..A Man for All Seasons. It is a timeless story of conscience, integrity and intrigue as Sir Thomas More opposes Henry VIII’s decision to divorce his first wife, Catherine, in order to marry Anne Boleyn, wife #2 (out of a total of six), an opposition that eventually costs Sir Thomas his head. 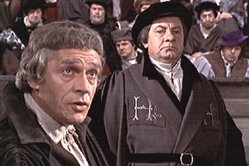 The film was awarded Best Picture in 1966 and Paul Scofield, who played Sir Thomas More, won the Best Actor Oscar. The film also won Academy Awards for Best Adapted Screenplay, Cinematography, Costume design and Best Director. Besides Scofield, it starred Orson Wells (Bishop Wolsey) and Robert Shaw (Henry VIII). Mel Gibson was so impressed by Paul Scofield’s performance in this film that he compared appearing alongside him in Hamlet to being “thrown into the ring with Mike Tyson.” Another huge fan of Scofield’s performance as More was John Wayne, who once called it the best performance he had ever seen. 1. We live in an increasingly visual world which is feature of postmodernity. Symbol has been resurrected as a powerful element of communication. 2. Design is not just a matter of “taste.” There is good design and bad design. Value can be placed on design just as it can on art which is a component of design. 3. Good design is not a socio-economically determined value. It is also a value that we see exhibited in every culture. 4. Post-reformation Protestantism (in the West) has been notoriously design (and art) poor, depending rather upon words and literary devices as the primary means of communication. 5. Architecture, graphics, interior space, decor, dress, all are tremendously influential not just in influencing individuals but in shaping movements. 6. 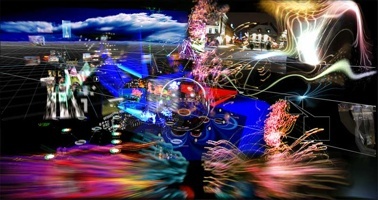 Whether Steve Jobs or BMW realize it or not, design is one of the great evidences of the imago dei. We design and our souls respond to such innately because we are reflections of the great designer Himself. I’ve taken my share of lumps over the years because design, look, feel, and ambiance, are all important to me. I believe the non-verbal communicates more powerfully than what one says or writes. Words may sway the mind, but art has the potential to touch the soul. “God is personal, but never private. Restricting God to private space was the great heresy of twentieth-century American evangelicalism. Denying the public God is a denial of biblical faith itself, a rejection of the prophets, the apostles, and Jesus himself. Exclusively private faith degenerates into a narrow religion, excessively preoccupied with individual and sexual morality while almost oblivious to the biblical demands for public justice. I was in college in the early 70s as the university world was being rolled by Vietnam protests and the great social upheavals of the 60s. On the religious scene, issues such as racism, civil rights, social justice, poverty, war and peace were pretty much owned by the left which embraced these causes with great passion but who had given up, for the most part, on the historical Jesus and his reality or relevance in the present. Despite wonderful counter-cultural expressions such as the Jesus Movement, conservative evangelicalism was essentially paralyzed and impotent. All most could do was circle the spiritual wagons and hope the storm would pass. 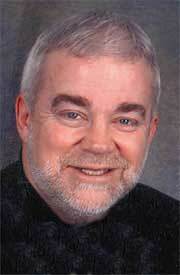 It was during this time of chaos that I was introduced to Sojourners and Jim Wallis. It was like a drink of cool water in a blazing hot cultural desert. I couldn’t believe that such a magazine, or a community, existed. It combined biblical fidelity with a powerful social/cultural critique that was neither morally selective like the right nor spiritually anemic like the left. While there are times when his objectivity can get a little carried away by his Anabaptist bias, Wallace’s book is one of the best critiques of our present political context and how followers of Jesus can and must engage. The LA Times reported today that dispensationalist pastor John Hagee’s 2006 book, Jerusalem Countdown, has sold an amazing 1.1 million copies. 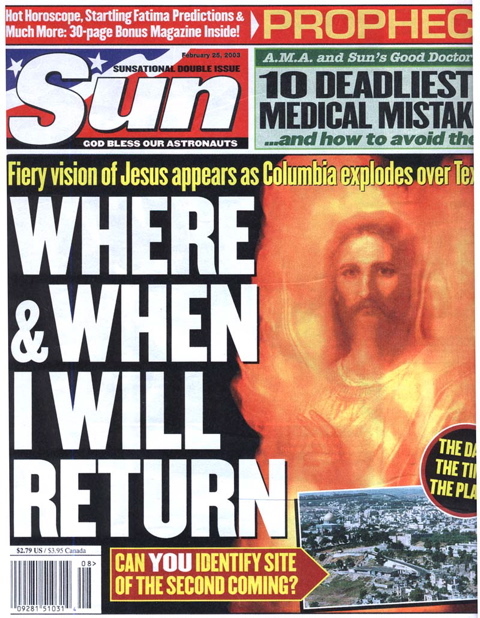 The fascination with such end-times speculation by the masses is absolutely stunning. I guess I shouldn’t be surprised since it is the same type of phenomena that the Left Behind series generated and is consistent with the array of apocalyptic demagoguery that has plagued the Christian movement since the days of the early church. What’s so pathetic about this is that people who are supposedly so biblically committed would be tantalized by such useless guesswork. The fact is that in every passage where Jesus describes the end times, he draws the same conclusion and admonishes us toward the same application: “Be about the Master’s business.” And he repeatedly cautions against trying to determine timetables or dates. If only a percentage of the energy, time and resources that gets misplaced into such meaningless pursuits were really focused on “the Master’s business,” what a difference it would make in a hurting world! It’s ironic and sadly revealing that a volume like Hagee’s has sold 1.1 million, and a volume like John Hayes’ excellent work, sub-merge: Living Deep in a Shallow World: Service, Justice and Contemplation among the Wo rld’s Poor, has sold about 4,000 since it was released last month. I have a strong bias about which one really encourages those who follow Jesus to be about the Master’s kingdom business. Those numbers alone are a dismal commentary on the state of western Christianity. “Church Growth” has gotten a bad rap! Several years ago I was at a large conference in Denver sponsored by Leadership Network. In front of hundreds of leaders from around the nation, a leading evangelical figure lashed out at “church growth” and characterized it as the fountainhead of all that was wrong with the present-day Church in North America. I approached him personally afterwards and asked him where in the writings of Donald McGavran—the “father” of the Church Growth Movement—would I find any of the the things he so aggressively castigated. And which aspect of the field of missiology, of which “church growth” theory has played an integral part, would he find anything close to what he was pummeling. He responded with a blank stare. In reality, Church Growth—as defined and taught by Donald A. McGavran—is far from what has been popularized in North America. This school of study and practice has been one of the most important and influential missiological forces in the latter half of the 20th century, particularly in the developing world. Today, unbeknownst to most, such missiology is a major underpinning of those movements around the globe that are cutting new ground for the Christian movement in unreached people groups and among the major blocks that remain resistant to the good news of Jesus, i.e., other major world religions, the secular, and the animistic. In many ways, the emerging church in the West applies and lives out the missiological insights articulated by McGavran several generations earlier. In his seminal works, The Bridges of God and later Understanding Church, McGavran provided groundbreaking insights and a framework to understand the redemptive purposes of God. Such understanding has stood the test of time and culture. Granted, there are refinements that that years have brought, such as a clearer differentiation between church and kingdom, but on the whole, the seminal theory that McGavran advanced—based on his 30 years of field work in India—continues to ring true today. “Unfortunately, as the Church Growth movement became popular in North America, it focused on technique, and we lost sight of the profound insights of Donald McGavran. It astounds me that anyone would continue to believe that monologuing (called “preaching” in the institutional church world) is the most effective way to communicate. That may have been true in centuries past, but it is could not be further from reality today. Being “talked at” is just plain boring. Even the very best monologue can’t begin to compare in effectiveness with the visual and virtual experiences that are the norm in public and personal communication. Gibbs is absolutely right. We live in the age of the artist. It’s one of the great cultural/technological shifts of the latter half of the 20th century. All of the senses must be employed for communication to be effective. May God produce multitudes of the artistic who can traffic with ease—and with spiritual authority—in the social currency of our day. “So much depends on me, yet all I have for this task is whatever health and energy You give me….I eat carefully, rest, exercise, and think positive thoughts, and still this wretched lump of clay fails me. You have Creator’s rights on my body. You formed every miraculous part. What You take away is Your business. I will do what I can with whatever capabilitiy You give me. It yours…. The days end as the years end, with never enough time for all the good that could be done, only just enough for Your priorities, if I get them right. You created time, and it does not limit You. But I do not have a thousand years today, God. I have only now. My good Brit buddy, Colin Crawley, gave me a new tennis racket for Christmas. It’s great! But it’s taking some getting used to. I just touch the ball and it zings. And it also means that I have to actually use it. No excuses now. So the past several weekends, Colin, Tom, and I have given the new rackets a workout. All went well until last week when my age apparently caught up with me as I tried to keep up. Shots I used to return flew by in frustration as I couldn’t quite reach. But most frustrating was that my left knee gave out. So tomorrow is my second physical therapy session on the bum knee. Never thought it would happen. But the mechanics are not quite what they used to be. Take heart! If that is the epitome of the male physique at 60, there is definitely hope for the rest of us mere mortals!